Have you ever seen these before? 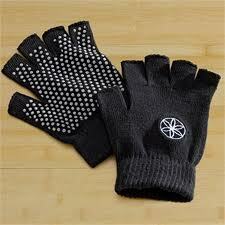 They're called yoga gloves and they're very grippy. 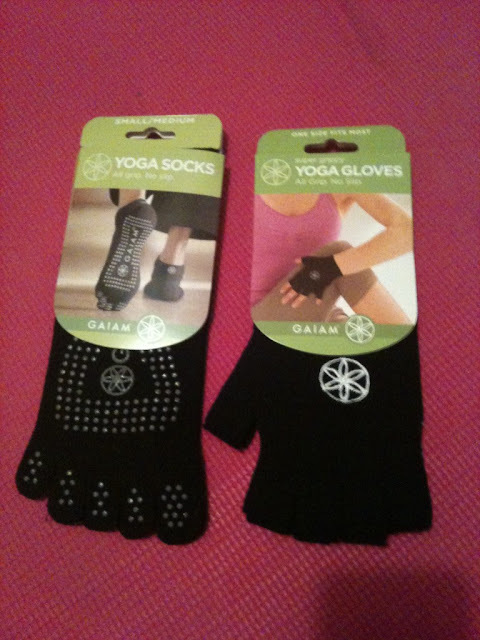 The idea is that you can wear the gloves and do yoga on a bare wooden floor without needing a yoga mat. You also get yoga socks and you're basically set to do yoga anywhere, anytime. However what I find funny is that yoga gloves look and feel very similar because they're made of the same materials and also designed to be very grippy - so that you can grab a slippery fish and they can't wiggle away. The bottom line is if you like to do yoga in weird places (like during a fishing trip...) you can do so using yoga gloves and socks - or if those aren't handy, try some tight fitting fishing gloves instead and discover just how darn similar they are. 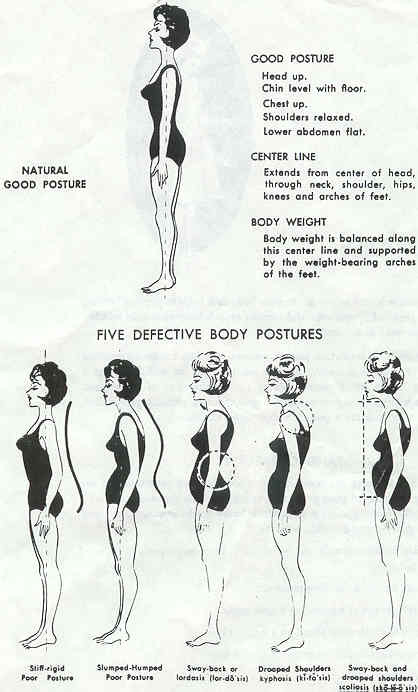 During the physical practice of yoga, the session will sometimes begin with an exercise known as sun salutations. 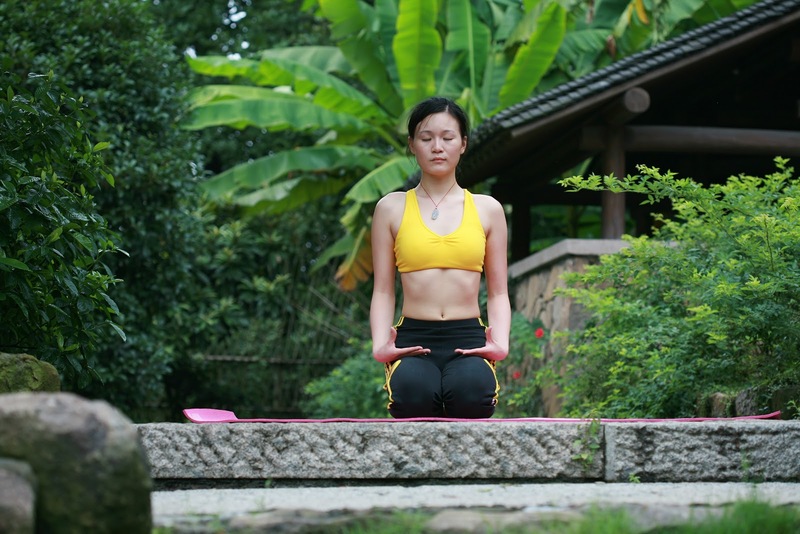 This series of twelve moving postures (asanas) are timed with breathing (inhaling and exhaling). The series is repeated anywhere from three times or more. Due to the nature of the sun salutation's constant movement, breath work, stretches and mental concentration, they encompass many common components of fitness, and makes for a challenging and effective total body workout. 1. Postures such as chaturanga, (negative tricep push up), the Crescent pose, (lunges) and plank are body weight strength exercises that will burn more fat while at rest, decrease risk of injury and maintain bone density. 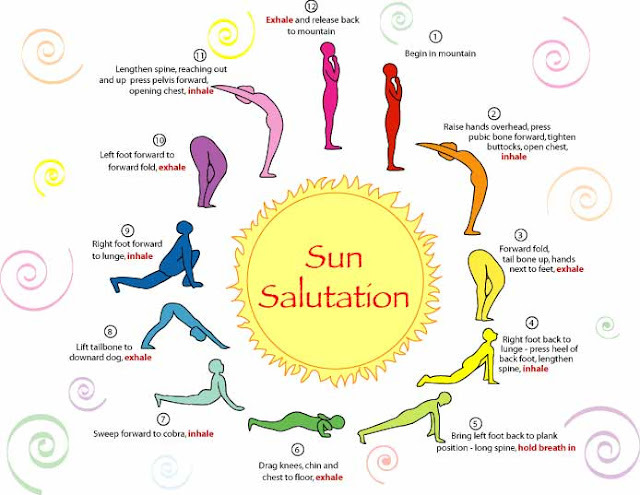 Sun salutations strengthen the core very well, and yoga is commonly prescribed for low back injury and rehabilitation. 2. Sun Salutations have the potential to be very cardiovascular and burn a lot of calories while exercising your lungs and heart. Consistent movement, inverted poses (head lower than heart) like downward dog, and holding poses will improve heart and lung capacity, increase endurance and aid weight loss. 3. 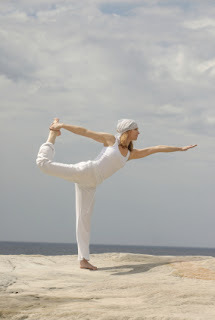 Poses like forward bends and downward dog will increase flexibility when practiced regularly. Sun Salutations are fantastic for releasing tension in the hamstrings and hips. 4. Focusing on timed breathing will increase mental focus and reduce stress. 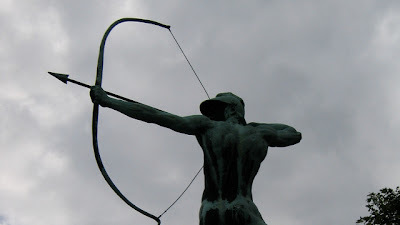 It teaches perseverance, mental toughness gives you a goal and something to think about to clear your mind during practice. 5. Sun Salutations will give you an all-around nice body! Yogis are known for their elongated muscles, lower body fat and over-all athleticism. Many martial artists also do yoga. Practicing yoga is more than an exercise. Its meant relax the mind and bring peace to the body. 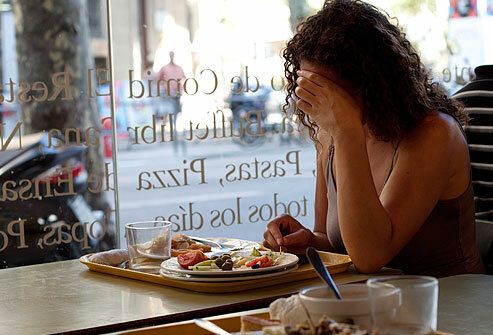 Sadly not everyone knows about a number of often unspoken etiquette rules. 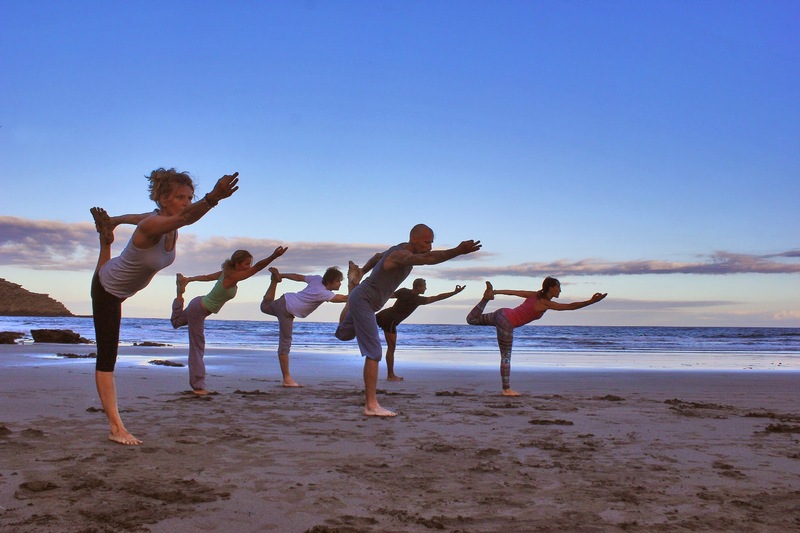 There are many yoga instructors, many personal trainers and many yoga studios in Toronto. 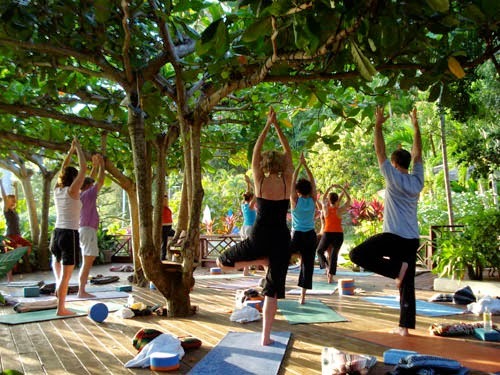 But sadly very few talk about etiquette for yoga or other exercise activities. If you practice yoga with your friends, keep the pre and post catching up in the lobby. Some studio change rooms even discourage discussion because some people feel uncomfortable with talking while they are half-naked and changing their clothes. 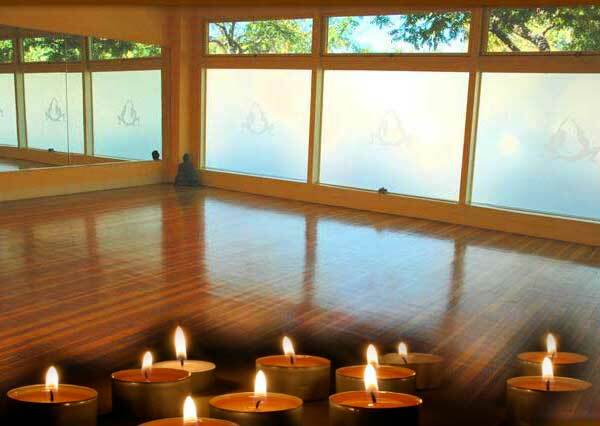 Walking into the yoga studio to set up and causing a loud ZIPPING NOISE is just as disruptive as talking! A bag with strings, a carrying strap or even a fabric sleeve is preferable. Personal space is important to people practicing yoga. In a crowded studio be sure to move your mat over as comfortably as possible to make room for other students. Don't hog space if the space is limited. If you borrow equipment such as straps and blocks, be sure to put anything back as you originally found it. Don't expect the studio staff to clean up after you! If you rent a mat, disinfect and hang to dry. Think of it like being on the TTC subway. Don't stare at the other passengers, or in this case, yoga practitioners. From the back you can see more experienced students and learn from them, without staring at them too much. If you are a new student and practice in the front, not only are you likely taking the spot that advanced students need to check form, but the students behind you may follow your lead without realizing you are an inexperienced yoga newb! Lateness and disrupting a class currently in session is a big no-no. You should also avoid leaving early and disrupting the class by quitting early and making noise as you leave. #8. Turn your Cellphone OFF! Easy. Press a button, turn off your cellphone. Its like being in a movie theatre. Avoid any unnecessary noises. The following is an inspirational video which brought tears to my eyes. If an over-weight and disabled war veteran can do that using yoga, just imagine what you can do when you exercise? Arthur had given up. He didn't think he could do it. You might not think you can do it either. But along came "DDP", Diamond Dallas Page, who is an American retired actor/wrestler for the WWE, personal trainer, fitness instructor and yoga instructor. I admit, not your normal yoga practitioner, but he is certainly an athlete. DDP gave him the instructions and encouragement to do it. And I must say they both did an awesome job of getting Arthur back on his feet and walking again. And that is proof of how a personal trainer can help change your life. Regardless of whether you live in Toronto or California. 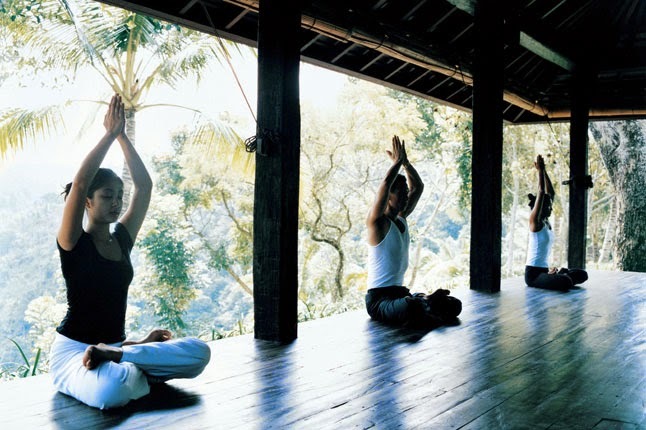 Before a yoga class starts, it is a good practice to do some breathing exercises while waiting for the teacher. 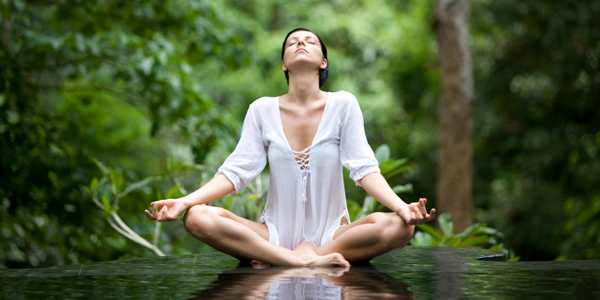 Breathing exercises help you to become more aware of your body. Perception and awareness is very important to yoga and as human beings we are basically trapped in our minds, we sometimes lose awareness of how our bodies are feeling and lose focus on what body parts might be paining us. As you begin the class many yoga teachers will tell you to clear the mind (easier said than done), to leave the past and future behind and focus on the present moment. 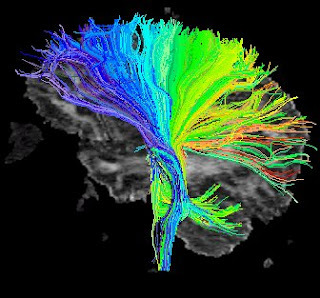 With practice such brain exercises can build your mental self-control, and knowing a few breathing exercises you can focus on helps build this self-control. If you think about your breathing, practice different breathing patterns and do it consciously you will notice it requires your concentration to do. Trying to do so while distracted will cause you to revert to your natural breathing pattern and to daydream about other things. When combined with yoga movements, you add an extra level of difficulty to your yoga activities - but after awhile it's amazing how easy that becomes. In which case breathing exercises are also good to do AFTER yoga. It will help keep you feeling relaxed and refreshed (or relax you after a particularly grueling yoga lesson). 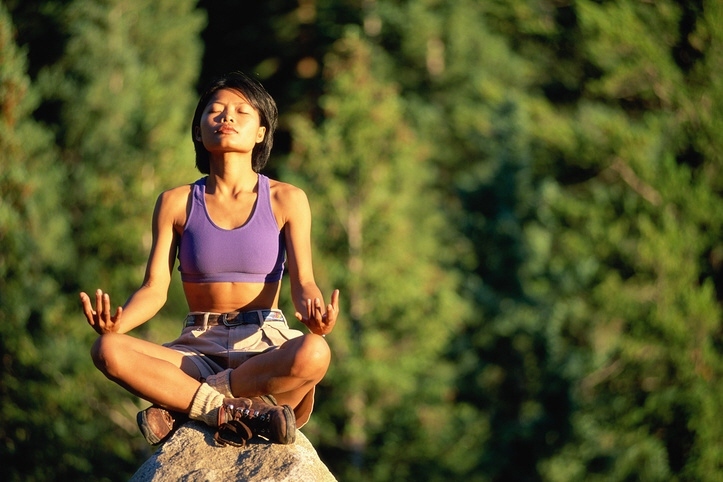 Try breathing naturally, at your own pace, and count your breaths to 10. Sounds pretty simple, right? Yet due to our wandering minds, most of us lose track many times along the way. When it happens, start over again without frustration or worry. Its the learning process and journey that matters, not how many times you fail. 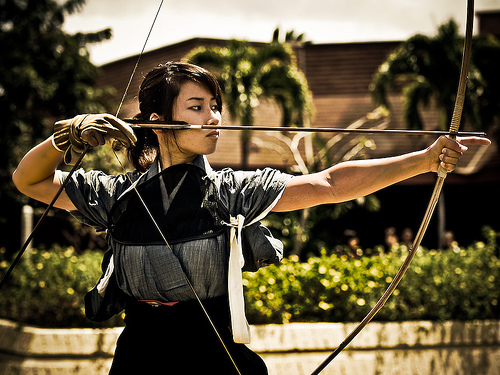 Counting your breaths is not a game to win or a skill to master. Instead, it's an instant, ever-handy way to deepen your awareness and concentration. I don't teach yoga myself, as a personal trainer I am really not qualified enough to be teaching it. But I have taken numerous yoga classes and can tell you that having your own yoga mat is an important thing if you want to be a serious yoga practitioner. Mostly for hygiene. Some of the yoga mats at yoga studios are pretty gruddy looking, and while they do clean them and disinfect them sometimes, they sometimes get old and who knows who's been sweating all over them. Thus when you are looking to buy your first mat, since you have evidently taken your practice up a notch and want to upgrade to a yoga mat of higher quality, there are many places to shop in Toronto and lots of people out there with tips on what makes a good mat. eg. If you really want advice you can ask for an expert opinion at a local yoga studio. They will happily give it to you and probably try to push you towards their favourite company. Its a bit like pitting Coca-Cola fans Vs Pepsi fans. They're pretty biased on the topic. #1. Don't Buy Just Any Old Mat - Buy the mat which best suits your type of yoga practice, whether it be hatha, vinyasa or Bikram. Why? Well you could just buy a generic mat, but it won't really do you that well. Its a bit like buying "all weather tires" for your car. They are basically mediocre all the time and never excel at anything. So aim to get a mat that is specially designed for your purposes. #2. Shop Around Online First - Do your research. 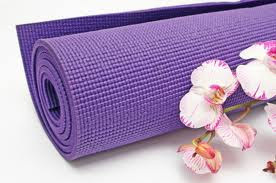 There are many different kinds of yoga mats available online. #3. Do you want it to come with a strap, a sling or a bag? - Or you can buy such things separately. If you are going to be carrying it a lot (some people carry them on their bicycles) then you want something you can easily carry. #4. Buy in Person, Don't Buy Online - Two reasons... you want to be able to see and feel the mat for yourself, so you know its the kind you want. 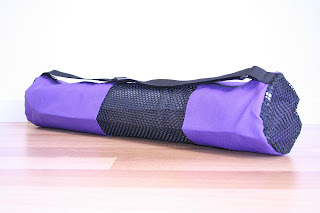 So find local places to buy a yoga mat. #5. Think Colours - eg. 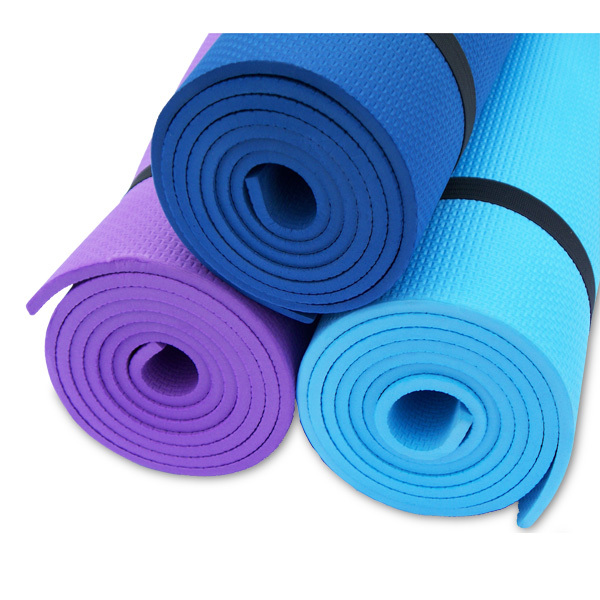 If you're a man you will probably want a blue, red, green or black yoga mat. Most men would not purchase a pink yoga mat.